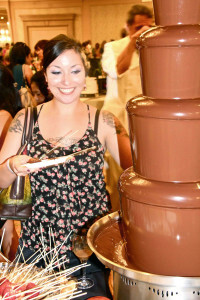 Presented by the Kona Cacao Association, The 2019 Big Island Chocolate Festival is an annual fundraiser that benefits five local non-profits and Hawaii cacao farmers. This fun, interactive and engaging two-day festival will be held April 26 – 27, 2019 at the Westin Hapuna Beach Resort on Hawaii Island’s Kohala Coast. 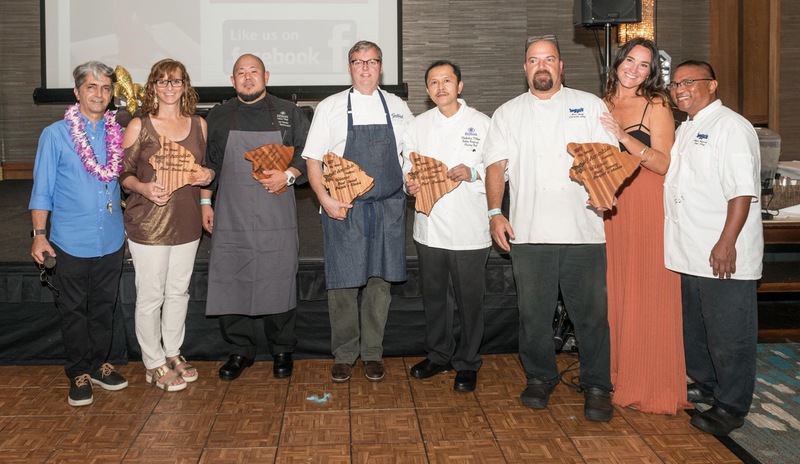 This year's theme is "Black & White," and our chef's will create their dishes and table decor based on that interpretation. This theme of opposites attract invites attendees to dress it up in swanky black and white attire—tuxes, plus gold & silver bling are encouraged! Black & white is a classic color combo suggesting elegance. Black brings a sophisticated and luxurious quality to the combo, while white evokes a sense of purity and cleanliness. The work seamlessly! And similar to the calling of racial harmony found in the Michael Jackson song, “Black or White,” gray is a mix of both colors, and so we welcome the mingling of all the grayscale shades of black and white…and thus, all the shades and flavors of chocolate. 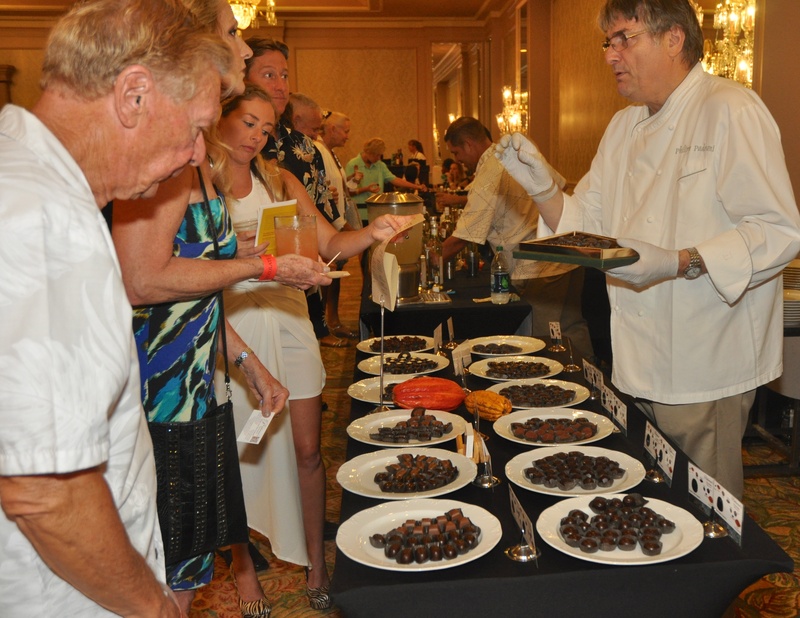 The Festival encompasses seminars, demonstrations, a student chef competition, a professionally judged cacao bean taste off, a fun and festive gala fundraiser and a silent auction. Proceeds from the benefit are decided each year based on the beneficiary applications received. 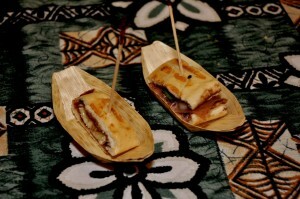 The mission and goal of the Kona Cacao Association, Inc. is to promote the cacao industry on the Big Island of Hawai‘i by presenting the Big Island Chocolate Festival as an educational and outreach opportunity for local cacao farmers, the hospitality industry and cacao enthusiasts. 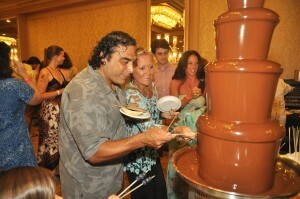 We encourage you to become a member of Kona Cacao Association and support Big Island’s cacao. You come up the elevator from the garage at the Hapuna Beach Prince Hotel on Saturday evening May 12th. You can smell the savory bbq as soon as the door opens. 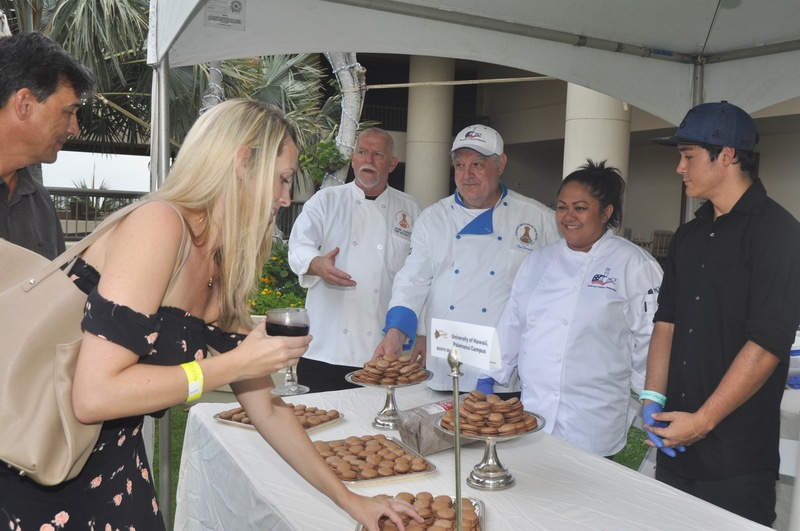 You have arrived at the Big Island Chocolate Festival Gala evening and you are hungry and ready to sample dozens of chocolate treats and dishes. After checking in, enter the ballroom and you are greeted by the classical musical sounds of Magic Strings, a professional violin and harp duo. You decide to get a drink first and are unsure if you want to visit the Kona Brewery booth, the Youngs Market booth with two different signature cocktails, or get a glass of wine. You opt for the cocktails and start the tasting adventure! The Hapuna Beach Prince Hotel, the Fairmont Orchid, the Hilton Hawaiian Village-Oahu, the Grand Wailea-Maui and the Hilton Waikoloa are all creating savory and sweet dishes. Hualalai Resort, Huggo’s/Huggo’s on the Rocks, Amici’s, Sweet Eats, Sweet Cane Cafe, Gypsea Gelato and the Hawaii Community College are serving up desserts and savory dishes and Padovani’s chocolate, Republica Del Cacao, Madre Chocolate, and Valrhona will be offering some of the world’s finest chocolates. 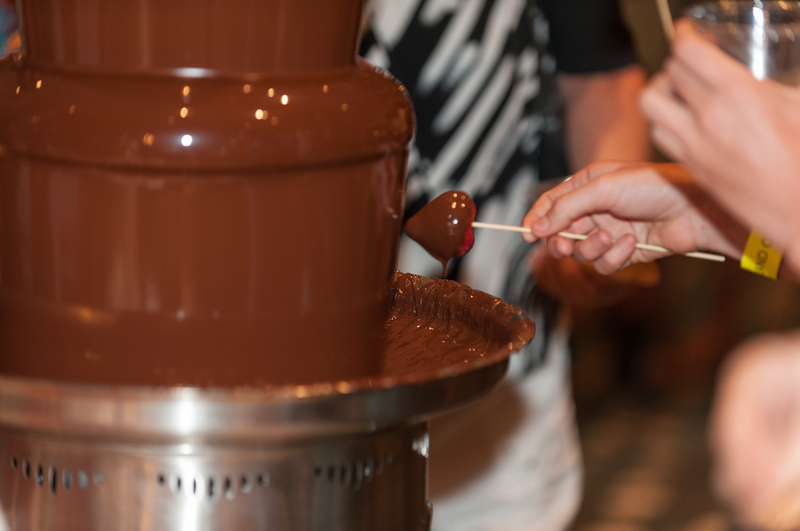 Dipping a treat into the Cocoa Outlet’s four foot tall chocolate fountain is part of the ritual. 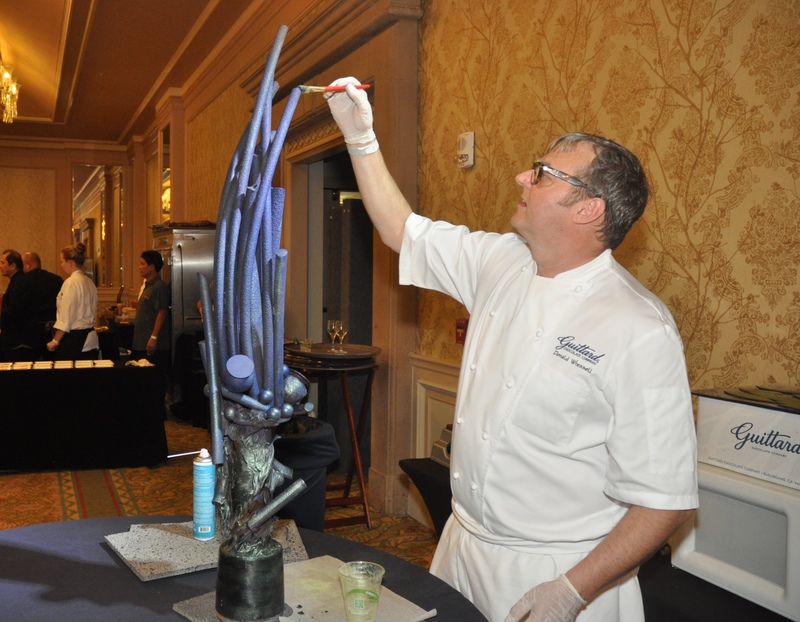 As you nosh on the chocolate creations, watch Chef Donald Wressel from Guittard Chocolate create a volcano themed chocolate sculpture with over forty pounds of gourmet chocolate to help celebrate the 100th birthday of Volcanoes National Park. Wander outside to sample grilled savory dishes and grab a plate for an all-you-can-enjoy mole bar over rice and a salad bar. 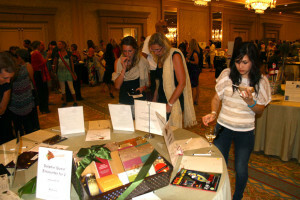 Take a break and shop at the silent auction inside the ballroom where you can bid on valuable gifts, trips and opportunities from the Big Island. Don’t forget to be decorated with a chocolate tattoo by Greg Learned, our famous chocolate body painter, using his artistic skills for your group shots and selfies! As you taste and taste and taste, remember to vote for your favorite savory and sweet dishes for the People’s Choice Awards which will be given out along with awards judged by celebrity chef judges. After the awards are given to our amazing culinary participants, DANCE! 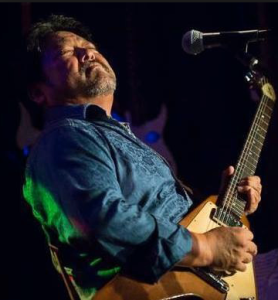 The Tome Isobe Band will be filling the ballroom with blues and jazz from 7:45-8:30, then DJ Dan Taylor will take requests from the dance floor for ANYTHING that makes your body move. Sound like an absolutely fantastic night? Mahalo to our BICF sponsors from 2016 Guittard Chocolate, Valrhona chocolates, Dolphin Journeys, Vollrath, Hawaii Coffee Connection, Cocoa Outlet, Kona Brewery, West Hawaii Today, Barry Callebaut, Original Hawaiian Chocolate Factory.